My brother is a filmmaker who likes to live small so that he can pack up his possessions at a moment’s notice to follow a job. As a result, he live a very minimalist lifestyle that makes holidays hard to shop for. Even though tangible things that take up space tend to be bad gifts, there are many items that a minimalist can really appreciate receiving. I’m so frugal I always have trouble shopping for gourmet food. The whole point of gourmet food is that it is higher quality than the cheaper options. That means when I come in with my comparative price shopper’s eye, I always end up shying away from the purchase. Obviously, it would be cheapest to buy them store brand food, but that doesn’t make a good gift. 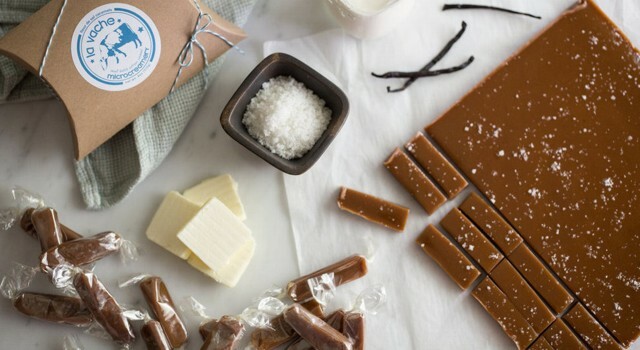 The gift of gourmet food is the gift of an experience. It would be a budget buster if bought regularly, but is a special treat as a gift. Either gifting your own sweat equity of actually doing a chore for them or a gift card to make it happen can be an amazing gift for a minimalist. Most minimalists still love plants. You can do a gift card to a store, but I think the best gift is to actually give them a plant with care instructions. Large well-established plants can be expensive, but make really great gifts for the plant lover. You can find both house and yard plants that need adopting in Craigslist’s Farm & Garden section for amazingly cheap. You can also find them at plant nurseries or gardening stores. A great store for getting house plants is Fifth Season Gardening. They sell the dirt, pots, and plants or seeds all right there in the store. You can also ask them to write up care instructions for you to give along with the plant. If you’re looking for landscape plants, I recommend Edible Landscapes in Afton, Virginia. If you want a kitchen herb, Wegman’s sells Basil, Mint, Thyme, Rosemary, and Cilantro plants right in their produces section. You’ll just need to buy a pot elsewhere as the roots of these plants outgrow their starter pots quickly. If you need to ship or store a plant for a while before giving to the recipient, you can give a gardening kit. My family has had personal success with the “Garden in a Bag” brand. Buying a digital item as a gift can be intimidating the first time. Will they get it? Here’s some of the most common gifts and how to give them. On the right side of a product page, you can find Amazon’s “Buy for Others” box. For digital books, the most common kind is an Amazon Kindle book. They can be read on the Kindle device, from the Kindle app on an Apple or Android product, and from the desktop in a browser-based cloud reader. You can shop for books in the Kindle Store. Once you find one you would like, you click either the “Give as a Gift” or “Buy for Others” button. 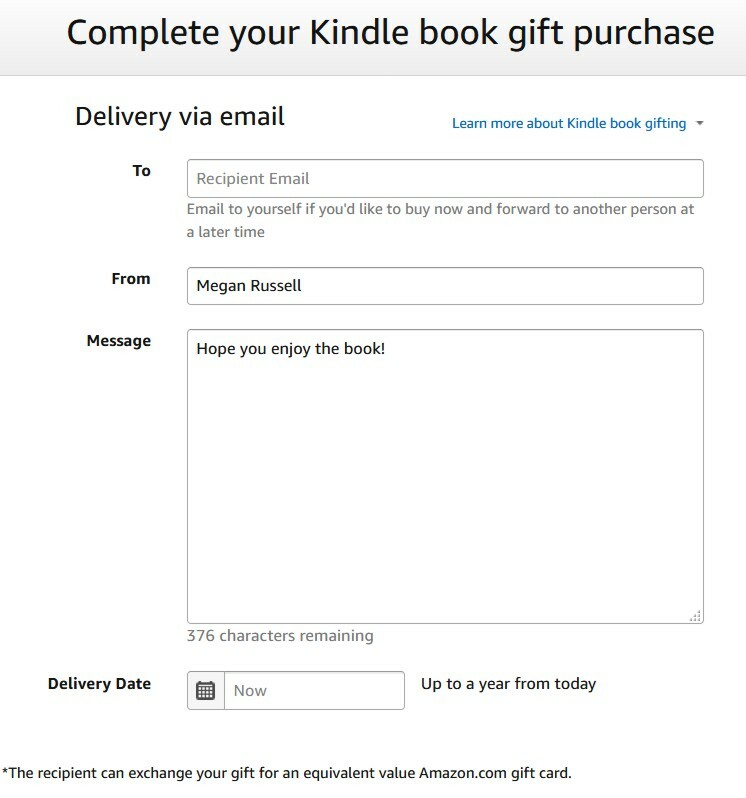 Then, you will be taken to a “Kindle Giving” page where you can insert the relevant information. The email will have a claim code (which can be redeemed online for the book) and also a link for fast redemption. It is formatted like a card with your message there. You can either email the gift to the recipient directly, for easy redemption. Or, if you like the individual having something to open at an event, you can email it to yourself and then print the email and wrap it in a card or box for fun opening. If the individual looses or never redeems the gift, you can resend it or eventually recall it to get a refund. If they don’t like it, they can exchange the Kindle Book Gift for an Amazon.com gift card as they could with a normal book. These prices are effectively $15 per Audible book (3 months or 6 months) or $12.50 per Audible book (12 months). Purchasing an audio book outright in CD can cost anywhere from $10 to $30, so these are fair prices. After you select the duration, you be taken to a screen to enter all the relevant information. As with Kindle books, if the individual looses or never redeems the membership, you can resend it or eventually recall it to get a refund. However, unlike Kindle Books, if the recipient doesn’t like it, they cannot return or exchange the gift by themselves, they would need the help of the gift giver to get a refund. 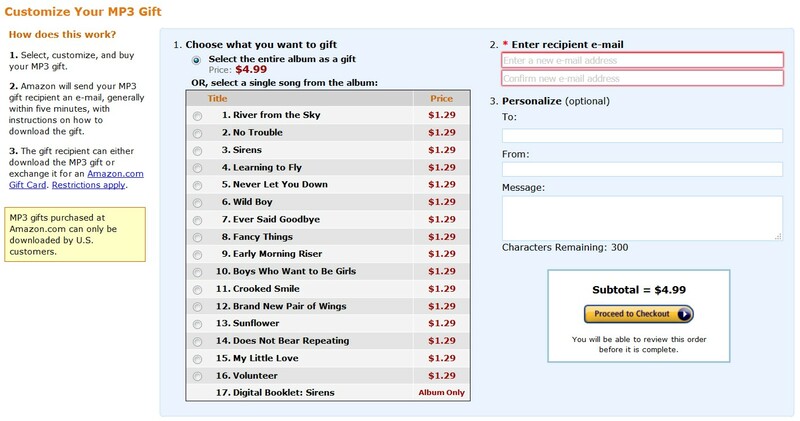 There are three major methods of gifting digital music: giving a download, a gift card, or a streaming subscription. When it comes to a digital download, places that allow for the file to be downloaded and owned outright are better than those that restrict the files usage. iTunes, although well known, restricts the use of the digital file to only being usable by people with the Apple Store password that bought it. This is helpful at restricting illegal uses, but annoying for families who are legally sharing their computer’s music library. My brother likes using Band Camp because it has relatively-unknown independent artists on it and the money goes directly to them. However, if you are looking for more mainstream music, Amazon is probably a safe bet. On the right side of a product page, you can find Amazon’s “More Options” link. On the next page, you can select either the whole album or just one song to purchase and enter the relevant information. The email will have a claim code (which can be redeemed online for the music) and also a link for fast redemption. It is formatted like a card with your message there. 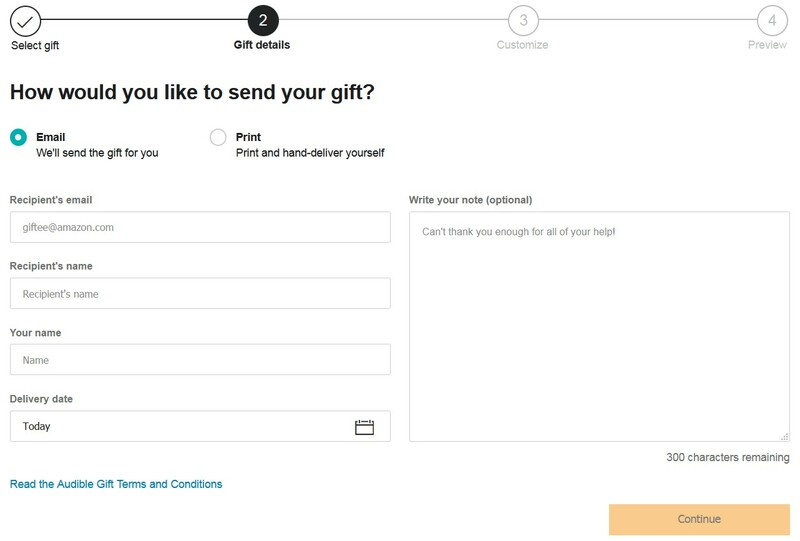 You can either email the gift to the recipient directly, for easy redemption. Or, if you like the individual having something to open at an event, you can email it to yourself and then print the email and wrap it in a card or box for fun opening. If they don’t like the gift, they can exchange it for an Amazon gift card online. With an Apple Store gift card, the individual can purchase apps from the App Store or in-app purchases from their favorite games or tools. This can be a good option for people with iPhones or iPads. An Amazon gift card is the most versatile gift, able to buy and be anything. Also, giving a gift card to an experience can be fun, like an Alamo Drafthouse gift card. However, I am not fan of gift cards. The effort of actually shopping, selecting an item, and purchasing it is a big effort which, when undertaken by the gift giver, is a large part of the value of the gift to me. As a result, my favorite type of monetary gift is a gift of savings or appreciated stock. If the recipient is working, you can gift a Roth IRA contribution. If they are a young child, you can gift 529 college savings. If you know they need day-to-day money, cash with a sweet note is helpful. If they are a retiree, you can gift them “fun money” that you instruct they spend on themselves. I hope this helps you love the minimalist in your life. Photo from La Vache Microcreamery.